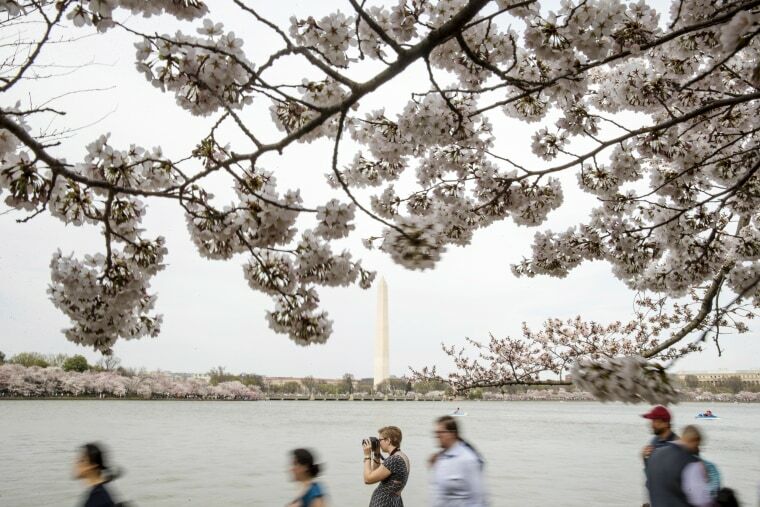 Visitors walk past cherry blossoms at the tidal basin on Monday, April 1, in Washington. 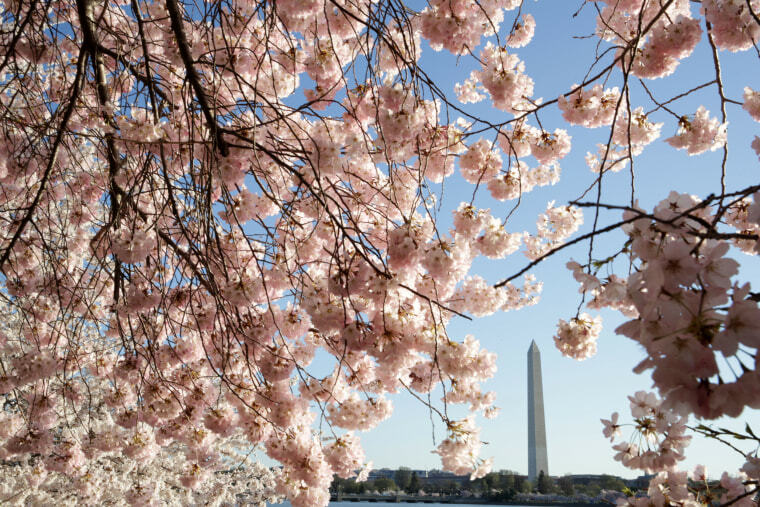 Peak bloom is defined as the day when 70 percent of the Yoshino cherry blossoms are open. 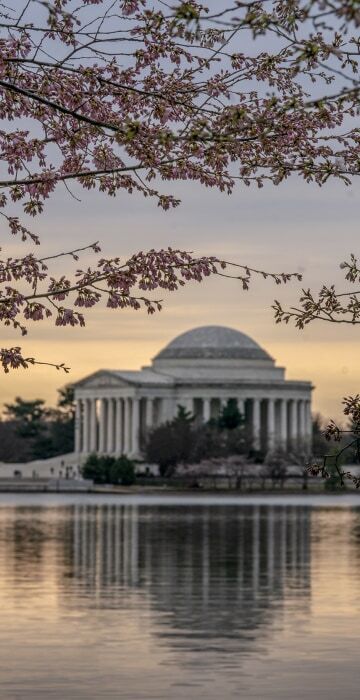 Based on the current conditions and forecast, the trees will be in blossom for the next seven to 10 days, the National Park Service said on Monday. 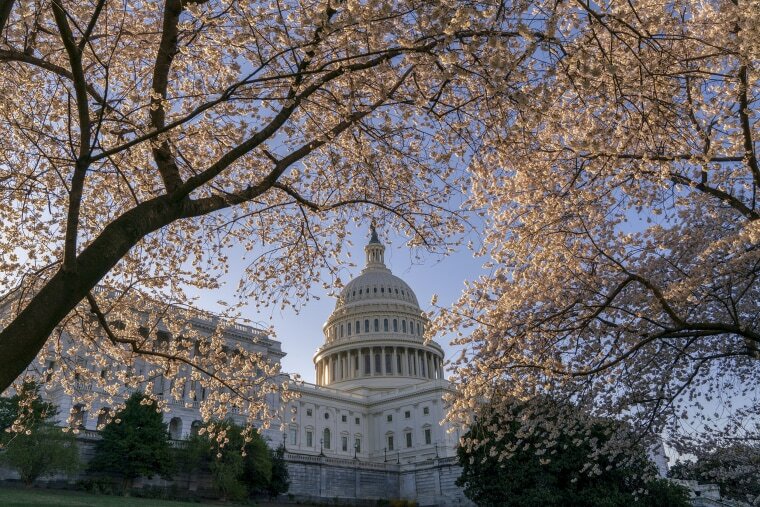 The Capitol is framed by blooming cherry trees on Monday. 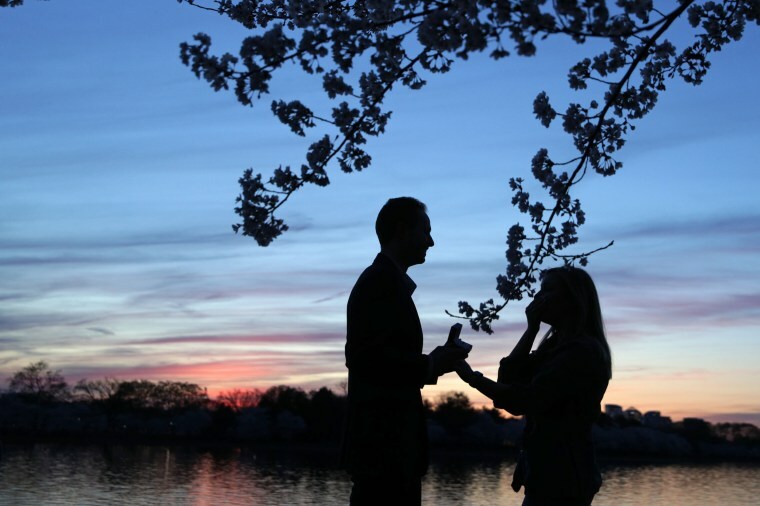 Local resident Andrew Wright proposes to his girlfriend Hannah Bagley at the Tidal Basin on Monday. 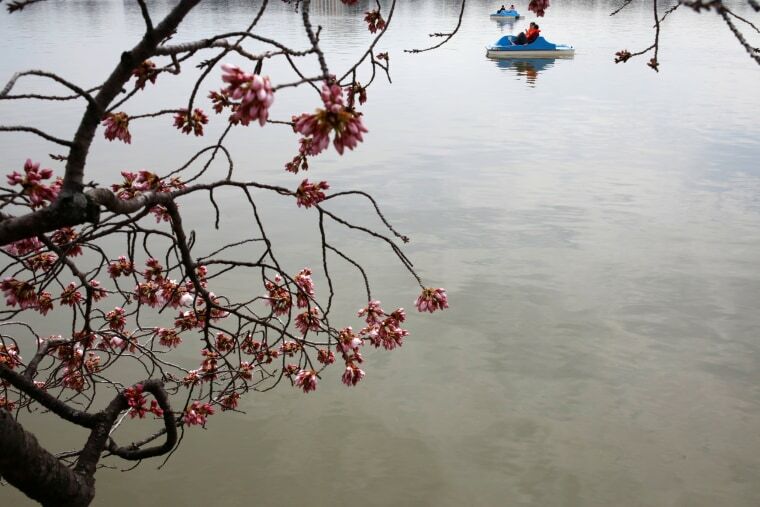 Under ideal conditions, the trees can hold their blossoms for up to two weeks. 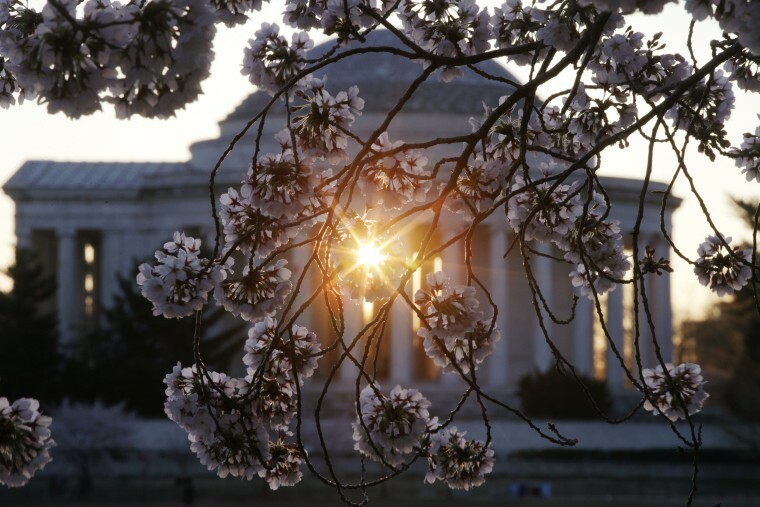 Cherry blossoms hang in front of the Thomas Jefferson Memorial after sunrise on Monday. 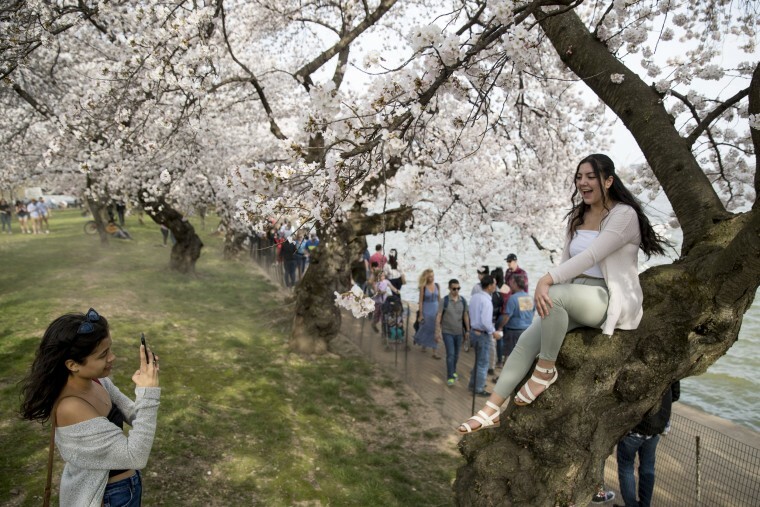 Romina Poblete poses on a cherry blossom tree along the Tidal Basin on Saturday. 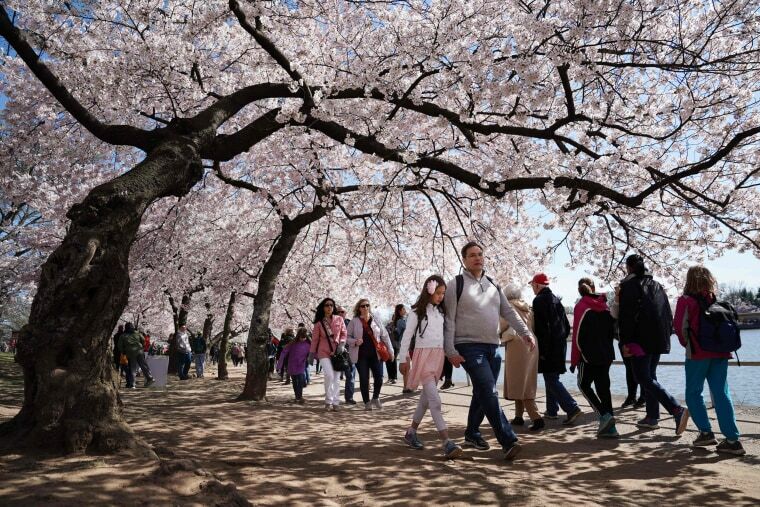 Cherry blossoms typically reach peak bloom during the last week of March or first week of April and draw up to 1.5 million tourists to Washington every year. 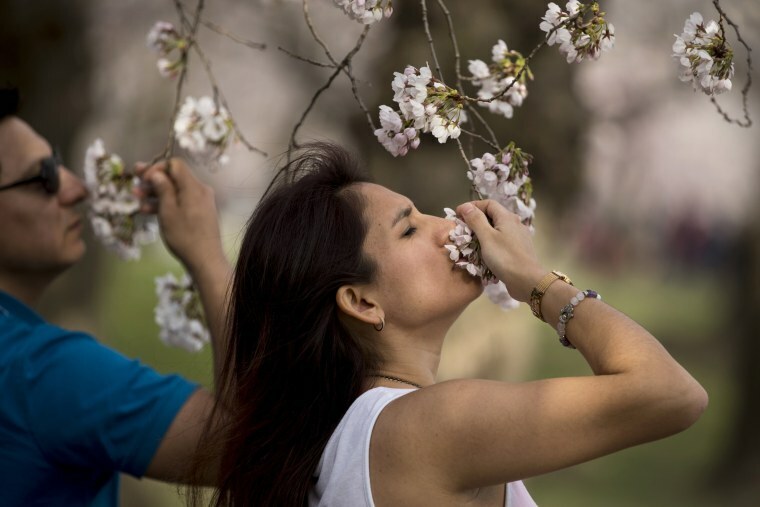 Mica Everett of Ontario smells a cluster of cherry blossoms along the Tidal Basin on Saturday. 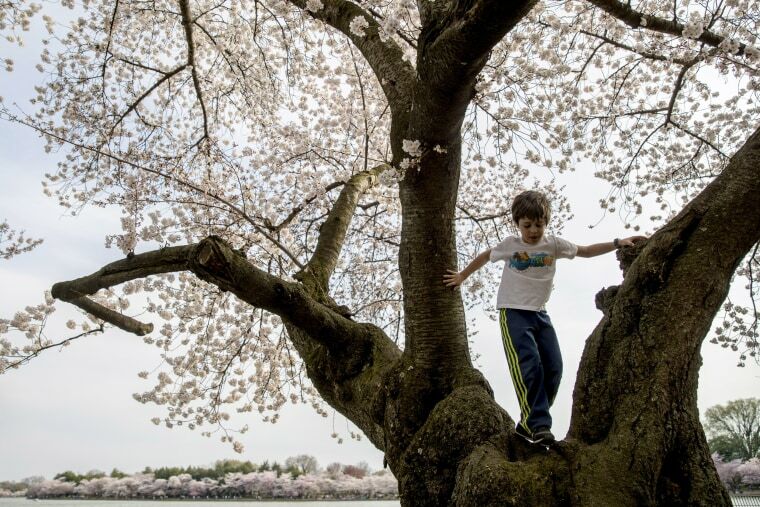 Zacki Rempell, 6, of Takoma Park, Maryland, climbs on a cherry blossom tree along the Tidal Basin on Saturday. 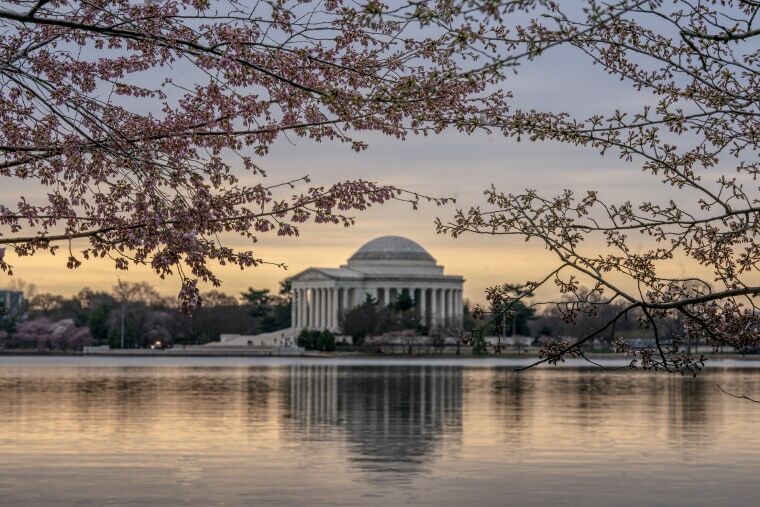 The Jefferson Memorial at sunrise on Friday. 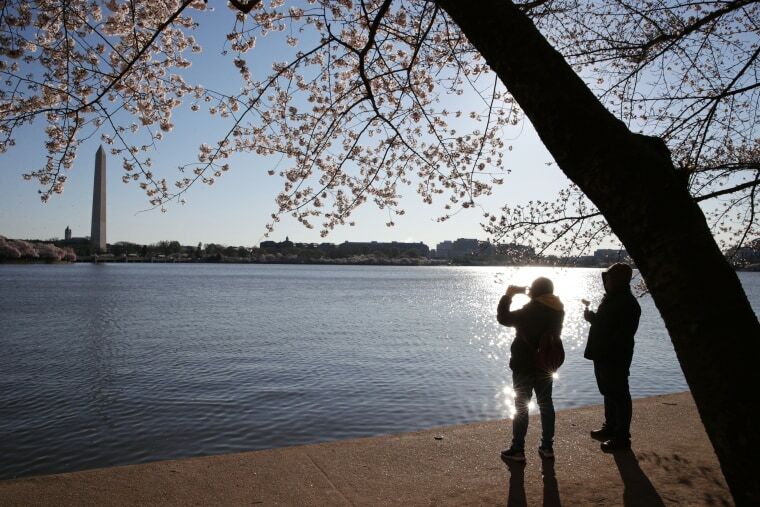 A couple poses for pictures at the Tidal Basin on Friday. 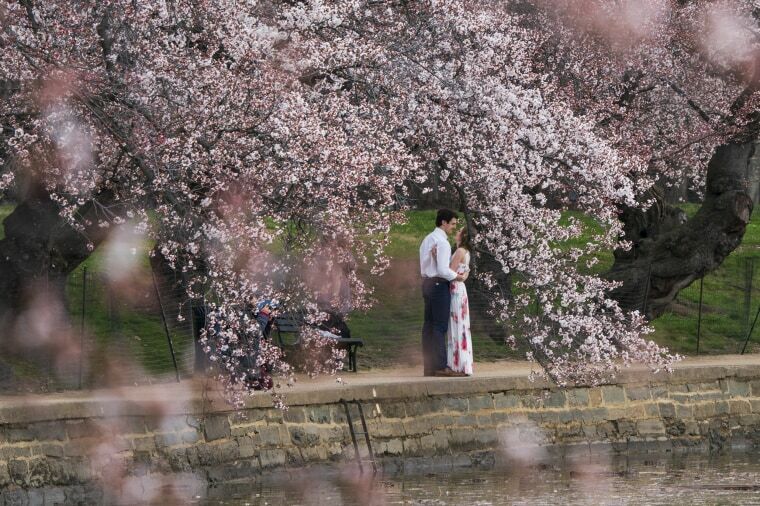 The Yoshino cherry trees that decorate the Tidal Basin were a gift from the Japanese government in 1912.